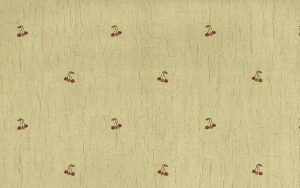 Vintage wallpaper cherries Kitchen in Red and Green on a Beige crackle background. 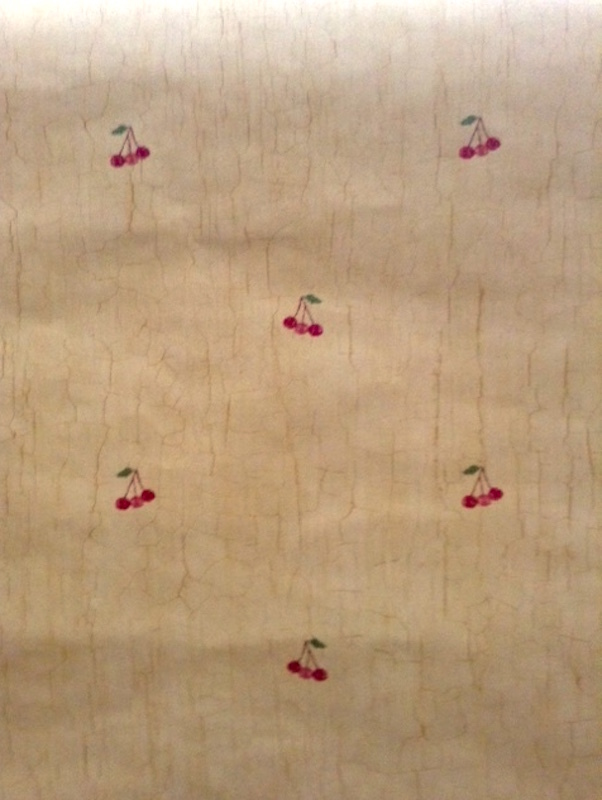 Each cherry cluster contains two Red cherries and an Orange cherry and one Green leaf. 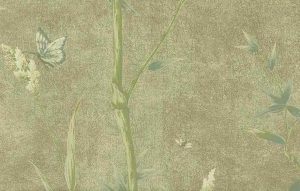 The Beige crackled background has a rustic look thus resulting in a charming country cottage style. 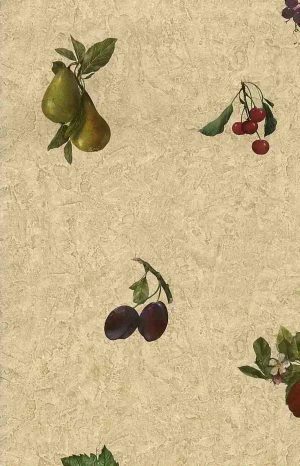 Perfect for a Kitchen. 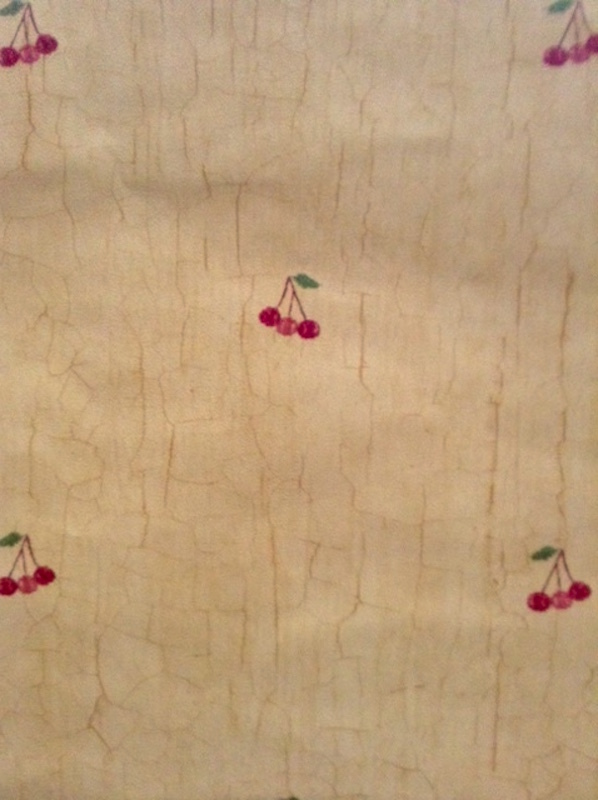 Due to the fact that the cherry clusters are spaced far apart there is a sense of openess. In addition, with a Purchase of all 4 Double rolls receive an additional FREE, almost complete, partial, double roll.